When dealing with limited space, some applications require extremely flexible solutions. In this instance, the facility needed to increase capacity by adding equipment. The problem was that they did not have enough room for a traditional curve chain conveyor for the product takeaway. Dorner solved the application issue by engineering a 90-degree product rotator. The compact sanitary rotator fit the customer’s requirement. The product is moved onto the conveyor, it is rotated 90 degrees and then the conveyor offloads the product and rotates back into place. 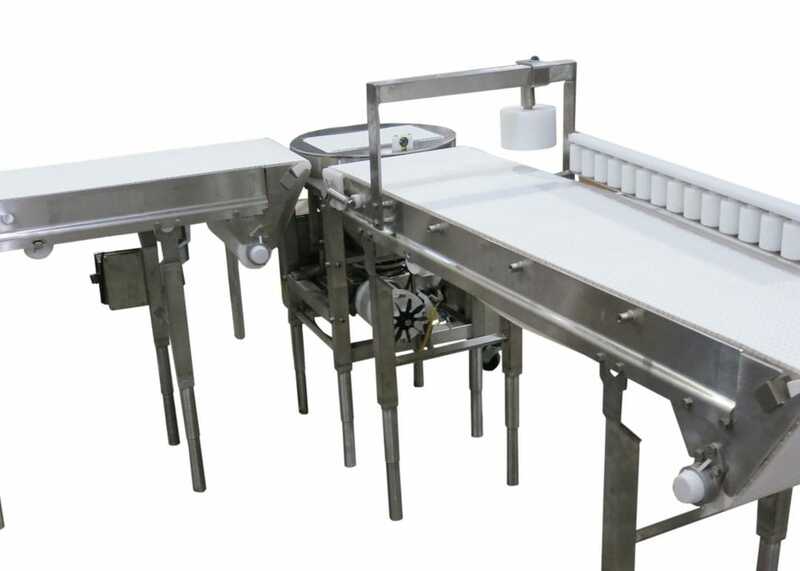 In order to fit this sanitary environment, Dorner leveraged its AquaPruf product line of stainless steel conveyors. The AquaPruf line is designed for fast and effective sanitation that fits in even the harshest application. Dorner has applied this solution for both 90 and 180-degree applications. In addition, we have pop-up transfers that can work for compact spaces.